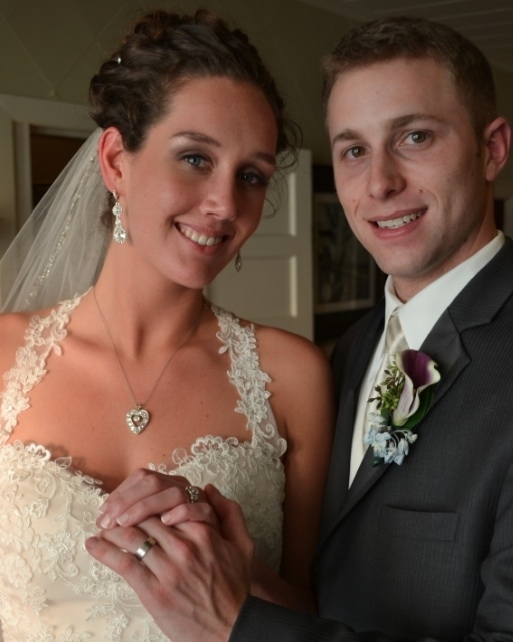 Lauren R. Mesnekoff and Alexander N. Pontikos were married at 4 p.m. Feb. 23 in the Tonawanda Castle in Tonawanda, where a reception was held following the ceremony. Rabbi Alex Lazarus-Klein, of Temple Shir Shalom in Amherst, heard the couple’s vows. The bride’s parents are Jay and Rebecca Mesnekoff of Clarence Center. The bridegroom is the son of Diane Pontikos of Amherst. The bride is a graduate of Clarence High School. She earned a bachelor’s degree in biomedical sciences from the University at Buffalo. The groom is a graduate of Amherst Central High School. He earned a bachelor’s degree in biomedical sciences from the University at Buffalo. Both are attending Virginia Commonwealth University School of Medicine. The couple will make their home in Richmond, Va.